Hi, Steve Rowlands here for what seems to have become my annual round-up of HMRC digital successes at the UK IT Industry Awards. We are thrilled to have won two awards this year, and been highly commended in another two categories. Considering the extremely high calibre of all the finalists from across the UK IT world this is real testament to how our teams and services are up there with the best of the best, providing and improving great services to our customers. 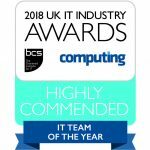 Our Digital Relationship Team was highly commended in the IT Team of the Year category, a great achievement considering this team was only formed around 18 months ago to help build even closer relationships with developers of commercial tax software packages. We were also delighted to see industry-leading work in other parts of government getting recognition last night too. 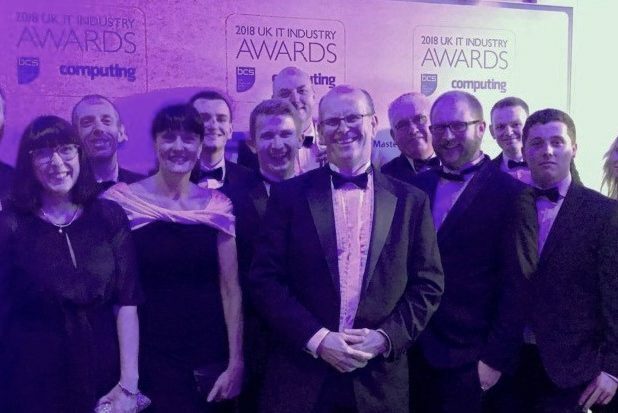 Congratulations from all of us in HMRC digital to the Driver & Vehicle Standards Agency (DVSA) who won the Artificial Intelligence and Machine Learning Project of the Year for their work on Intelligent Risk Ratings that Improve Road Safety. 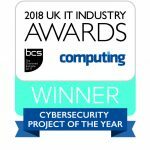 To see the full list of this year’s winners go to BCS The Chartered Institute for IT website. So after another great night for government IT, it’s back to the day job. Well done everyone. If you'd like to join our award winning team check out our current vacancies . They're updated regularly so worth keeping an eye on.